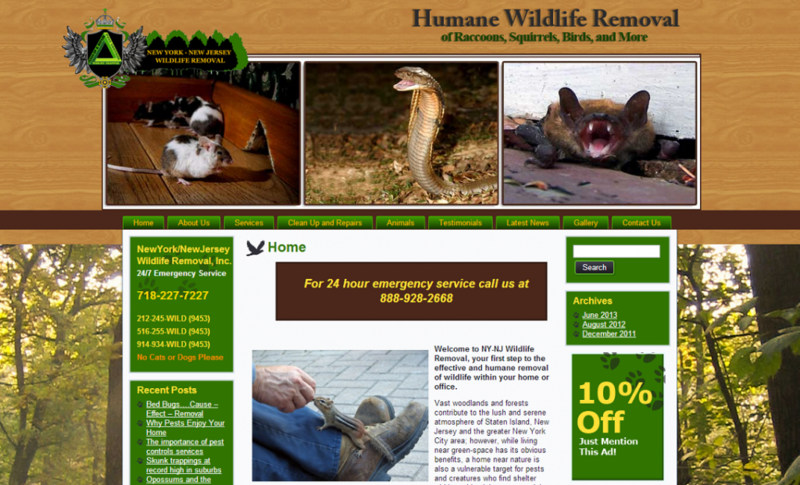 Call New York / New Jersey Wildlife Removal, Inc. (888) 928-2668 for any Essex County wildlife removal situation. New York / New Jersey Wildlife Removal does residential work and commercial work and they give a guarantee on our workmanship. We know how to do contracting work for exclusions – replacement of insulation – roof repair – soffit repair- sheetrock removal and replacement – and anything else needed like painting all our repair work to make it esthetically pleasing to the exterior of the dwelling. Trapping and Displacing nuisance wildlife in a humane, non harmful manner. Exclusion and Prevention…Keep them from returning! Call New York / New Jersey Wildlife Removal, Inc. (888) 928-2668 for your wildlife removal needs in Essex County, New Jersey.